Hello! 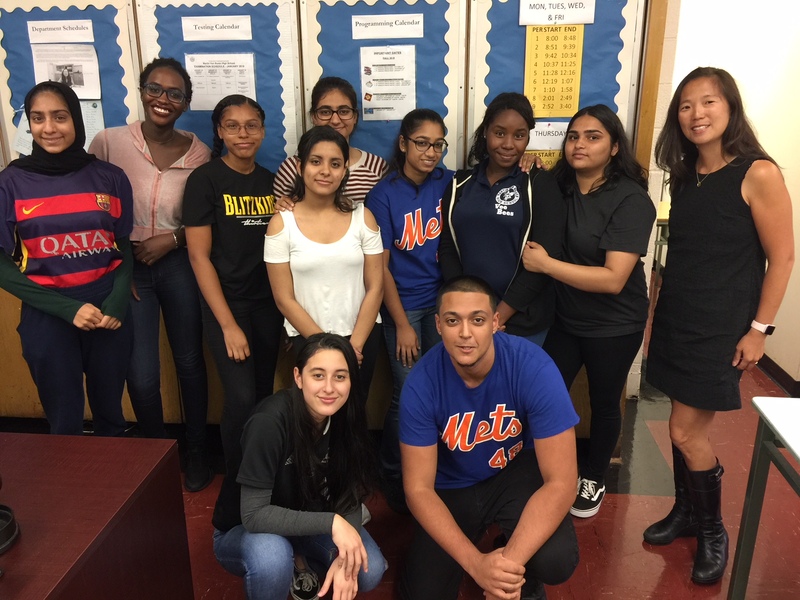 My name is Carol Wang, and I am a science teacher at Martin Van Buren HS (MVBHS) and a proud recipient of the 2018 Project Kindle Fellowship from Earthwatch. This past July, I was fortunate enough to have the opportunity to go to Little Cayman with 7 other NYC Public School teachers to study endangered corals. It was certainly an amazing experience and one that I appreciate deeply and will never forget-- one that I would like to share with students. As part of the Earthwatch mission, as well as our own MVBHS mission, I plan to take students with me to Catalina Islands to engage students in actual hands-on, scientific field research with established scientists in the field. It would be an opportunity of a lifetime, not only to inspire them to be an advocate for a sustainable environment, but also pursue studies in the STEM field and to teach them life skills. As you can imagine, in a school where nearly 3/4 of the students face economic hardships, the cost of the trip would make the expedition unattainable. I am therefore asking for your help. Any donation you make (its tax deductible!) will help. Please help me bring this experience to a group of incredible students who have the potential to change the world for the better if given the opportunity. Jon "Bowzer" Bauman February 17, 2019 $1,000.00 My Van Buren education sent me to Columbia and into a great career & a great life! We're getting close to this goal of sending some Vee-Bees off on a special journey! Everybody pitch in a little and we'll be there! Jacqueline Berlant February 14, 2019 $100.00 I graduated from MVB in June '65 and still hold my high school experiences and education close to my heart. My sisters Pat and Karen also graduated from MVB. It gave us the potential to achieve what we desired in life because of an astounding educ. Lloyd Fishman February 10, 2019 $250.00 We wish our students the very best of success in bringing MVBHS back to its high levels of achievement.